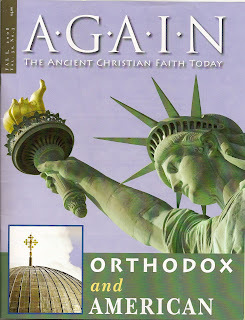 When I opened the fall copy of AGAIN Magazine, a subsidiary of the Antiochian Orthodox Christian Archdiocese, to which my parish in Memphis belongs, I was intrigued by the theme, “Orthodox and American.” Although Orthodox Christianity was introduced to America over a thousand years ago, it’s seen slow growth, for many reasons. One of those reasons, I believe, is the cultural trappings each jurisdiction has brought with its faith—Russian, Greek, Arab, and others. 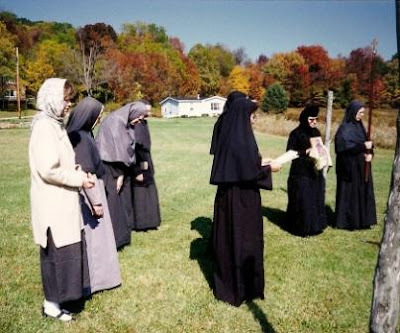 Sometimes it takes a while for a casual visitor, or even a serious seeker, to sort through what is cultural and what is theological and spiritual in an American Orthodox Church, from any tradition. Especially in parishes where the liturgy isn’t in English. It wasn’t all superficial… I really did try to pray during those years. But my inner life became so insular, as I removed myself more and more from the people around me, that the experience only lasted a few years. I began to hunger for the things I had denied myself, including close friendships. I realized that some elements of my spiritual journey at that point were very selfish, and I began to seek a way “back” to center…. to find balance. Writing is helping. My memoir-in-progress, Dressing the Part: What I Wore for Love, deals with the outer expression of the inner journey, as it uses clothing as the narrative frame for each era of my life. 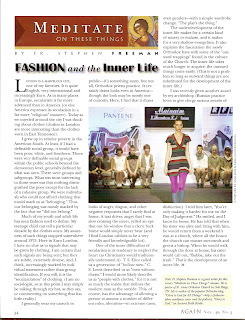 So when I saw Father Stephen Freeman’s article (guest columnist for “Meditate On These Things”) in this issue of AGAIN, “Fashion and the Inner Life,” I was intrigued. He’s setting the stage, sociologically, for my book. A difference in our backgrounds is that the area I grew up in was the “rich part of town”… although my family was on the lower end of that spetrum. I didn’t have name brand clothes and shoes until high school, when I was old enough to get part time jobs and buy those things myself. Father Stephen’s description of the part that clothing played, and plays, is right on point. I love the parallels he draws between the inner and outer lives… and his acknowledgement of the significance of clothing—of what it speaks about our journeys. You can hear Fr. Stephen’s podcasts on Ancient Faith Radio here. Now it’s time for me to get back to work on the book… I’ve drafted 7 of the 18 chapters so far, including “Girl Scouts and Training Bras,” Flower Child Bride,” and “Jesus Freak Hippie.” I’m really looking forward to writing the next chapters, especially “Spandex and Leg Warmers,” and “Church Women and Nuns.” Who would have thought I’d find inspiration for my memoir from AGAIN Magazine? Thanks, Father Stephen!